Moth Speaker: Guest Post From... The Joyful Fox! Guest Post From... The Joyful Fox! Hi there! I'm Laura, and I'm thrilled to be guest posting for Elanor while she enjoys some vacation time. 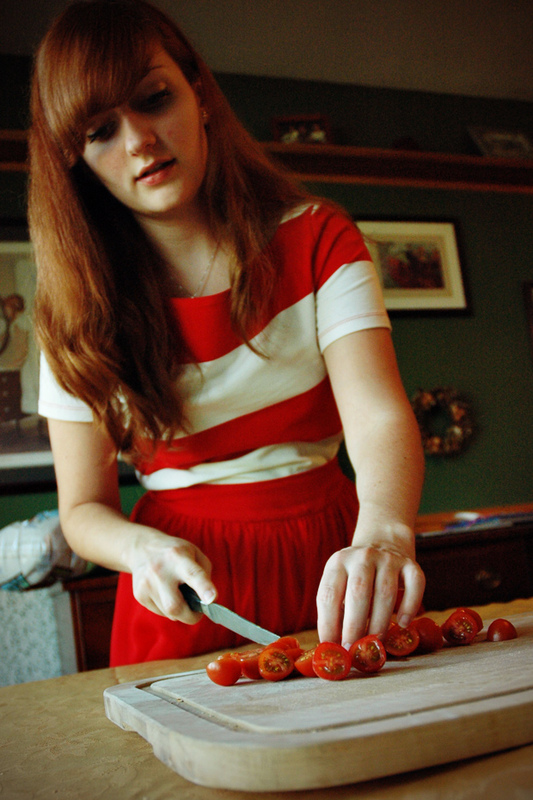 Some of you may know me from my blog over at the Joyful Fox, where I write about my two loves: fashion and food. I mostly write about the former, but today I'd liketo share a recipe with you all! 2) is impossible for anyone but the most gourmet of chefs. 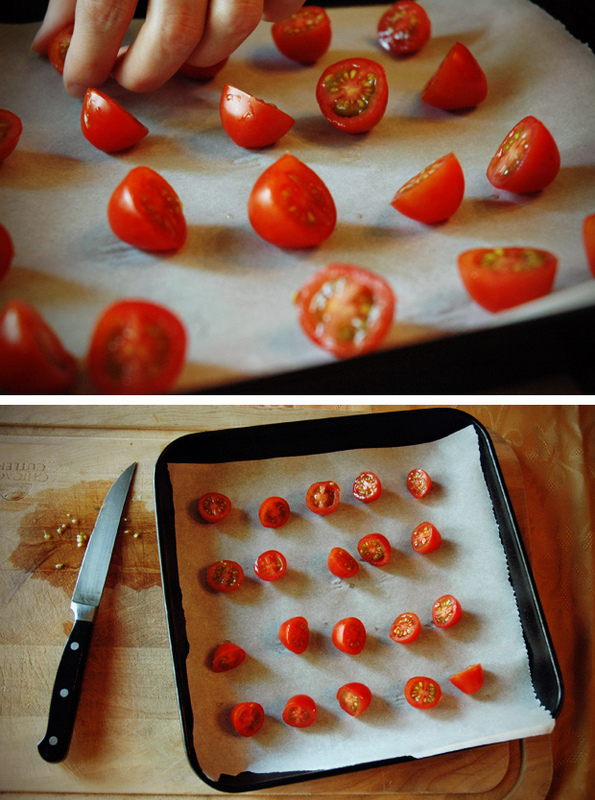 So today, I'm going to share a recipe that is not only pretty to look at, but also delicious and easy to make. 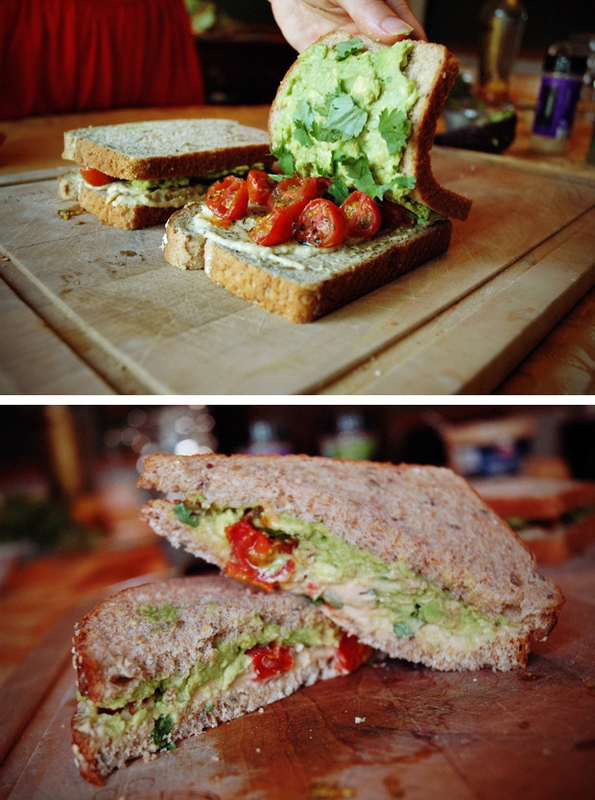 I call it the Chatwich: Cilantro, Hummus, Avocado, Tomato. Let's get to it! 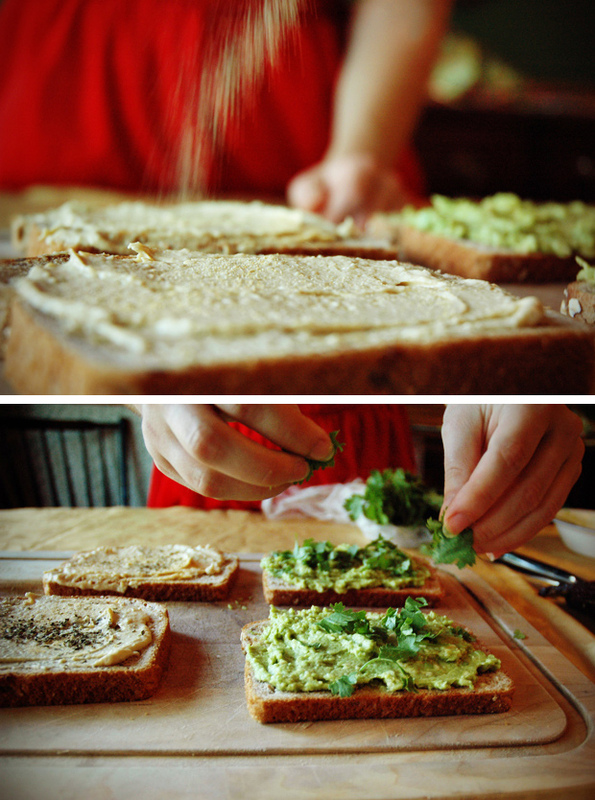 Makes 2 sandwiches – share with a friend! My boyfriend Chris and I shared these on the Fourth of July. *Note: if you're using a regular oven, preheat it to 450 degrees F now. If you're using a toaster oven, you won't need to preheat. 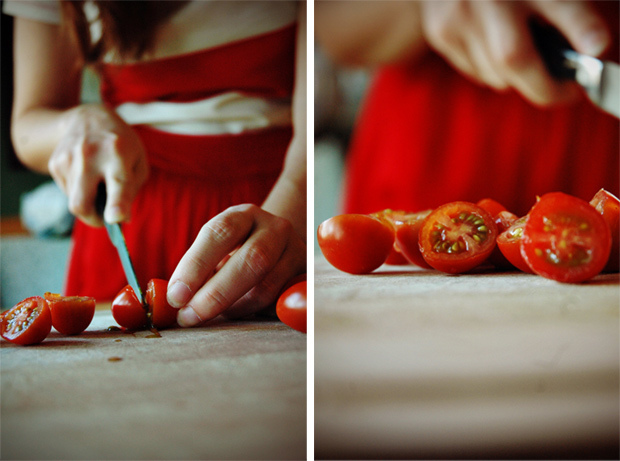 Step 1: Slice the tomatoes in half. 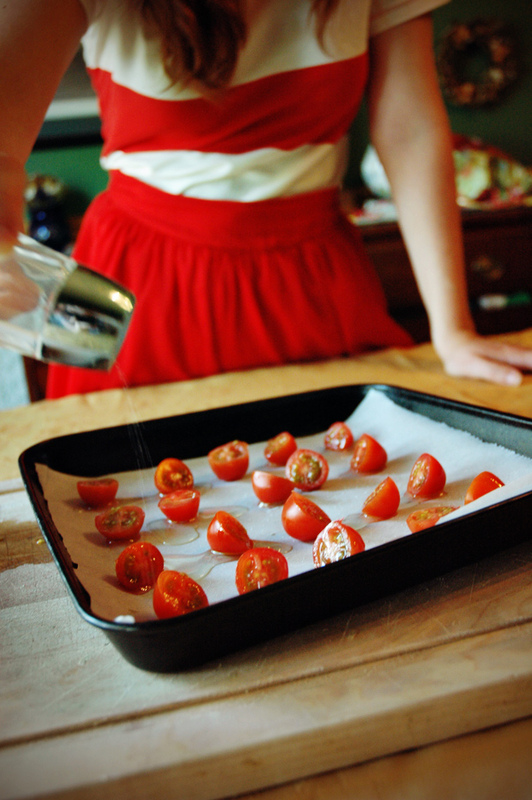 Step 2: Spread the tomatoes out on the baking tray, cut side facing up, using parchment paper underneath for easier cleanup. 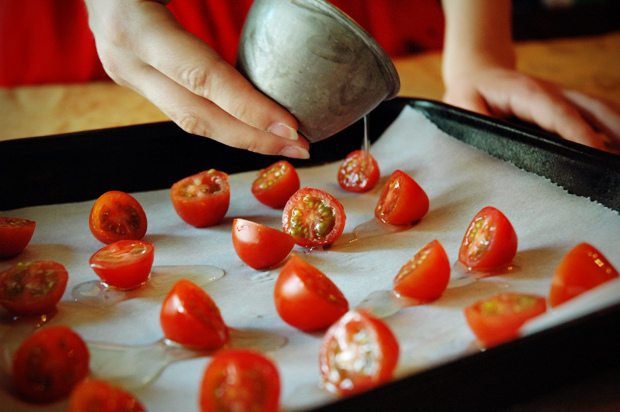 Drizzle them with the olive oil and sprinkle with salt and basil to taste. 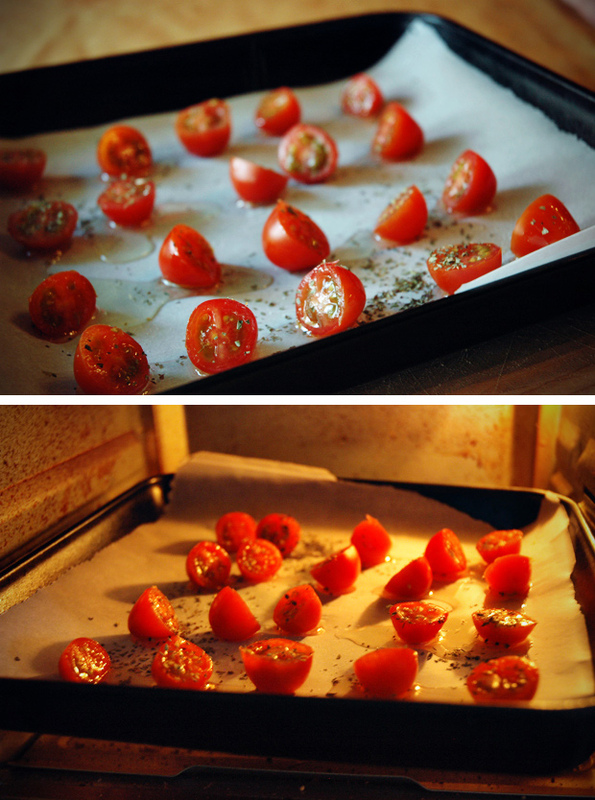 Step 3: Put the tomatoes in the oven to roast. (If you're using a toaster oven, as I did, set the temperature to 450 degrees F and change the setting to “broil.”) Leave them in for approximately 10 minutes, checking them halfway through. 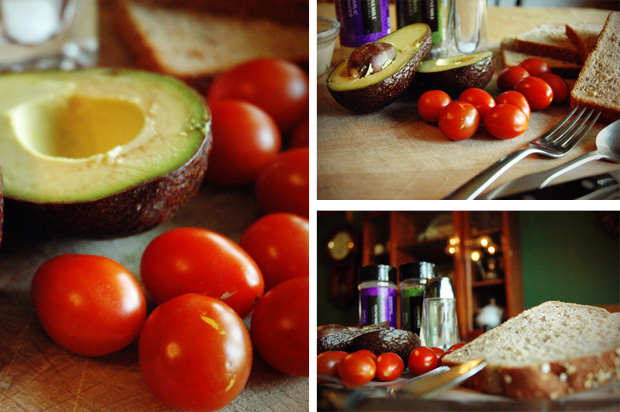 Step 4: While the tomatoes roast, scoop the insides of the avocado into a bowl and mash them. 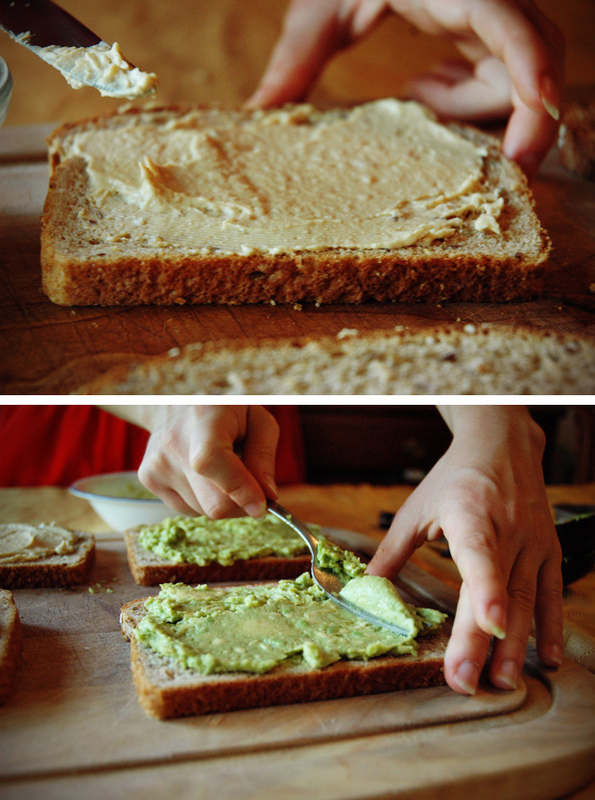 Step 5: Spread hummus onto two slices of bread, and spread the avocado onto the other two. 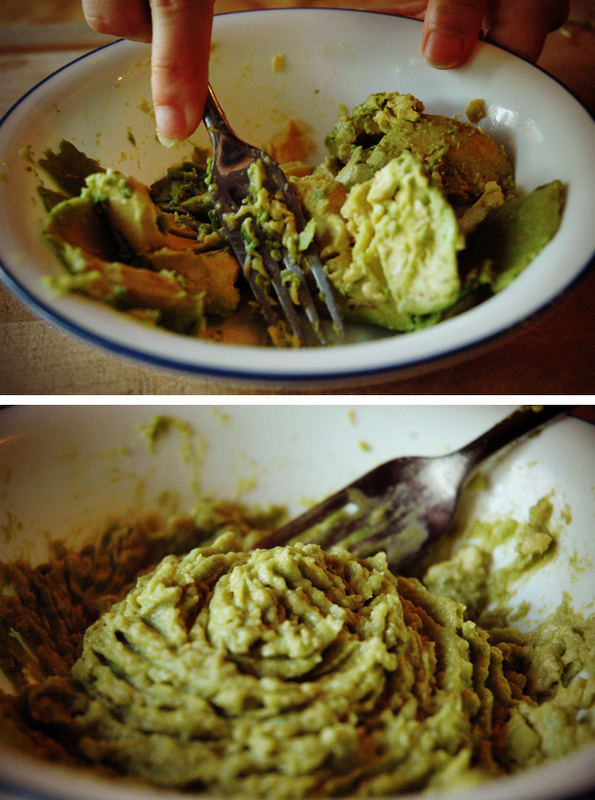 Sprinkle garlic powder and basil onto the hummus, and shred some fresh cilantro onto the avocado. 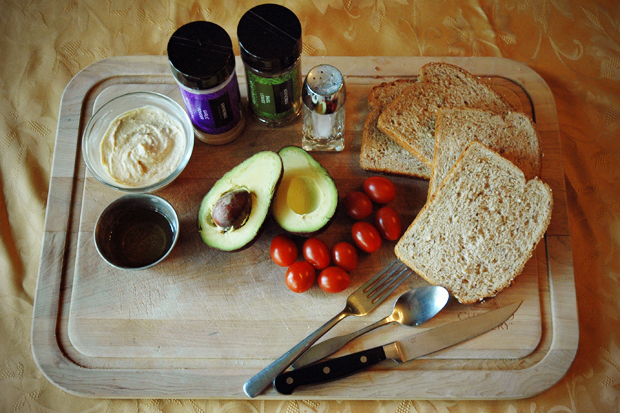 Step 6: Match up the avocado/cilantro slices each to a tomato/hummus slice, make into sandwiches, and enjoy! If you want your sandwiches hot, put them into the oven/toaster oven for a minute or two before slicing them. So there you have it: the Chatwich! This makes a great sandwich for summer (or any season, really), and it's very flexible and customizable, depending on the ingredients you have on hand. Personally, I think this would make an awesome base for a veggie burger...mmm. Thanks for indulging my obsession with pretty food! Be sure to let me know if you try this out! Yummmmmmmm! If only I wasn't allergic to avocado. I want this so bad! Fantastic guest post! 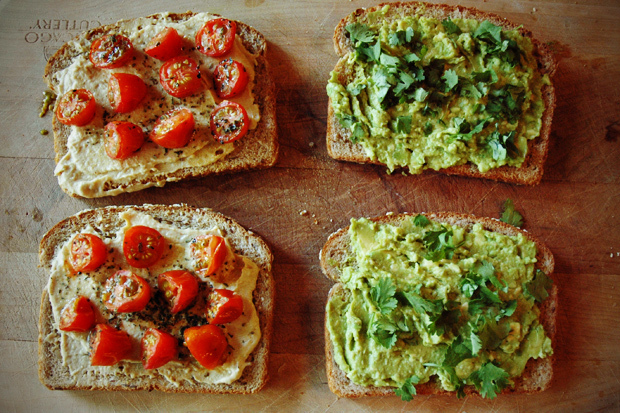 I have avocado on toast all the time, but I never thought of adding tomato! Might have to try that plus some chicken for protein. This looks yummy! 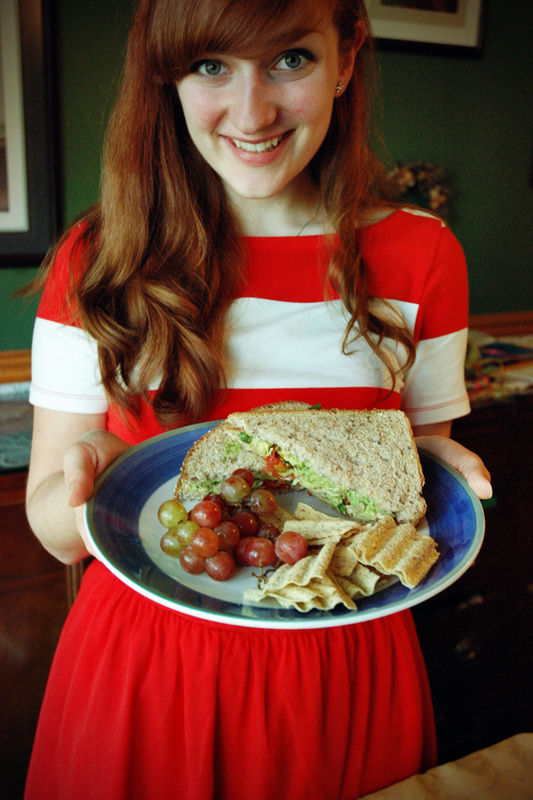 i've been planning a mental picnic for me and the boy and this sandwich will be PERFECT for it. i love the photos - and these look delicious! I love food photos just as much as you--food pins greatly outweigh anything else on my pinterest! 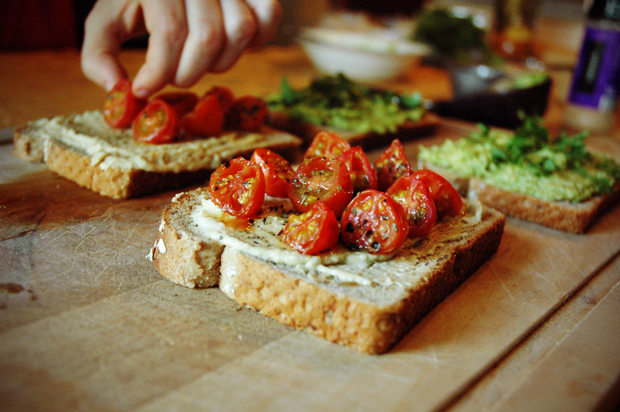 This sandwich looks so yummy, I wish I had one right now! OH MY GOODNESS. I will definitely be trying this.